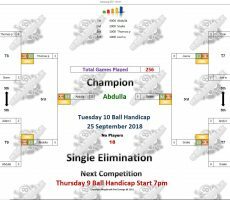 TUESDAY 10 BALL – SEPTEMBER 25th : ABDULAH WINS AGAIN. 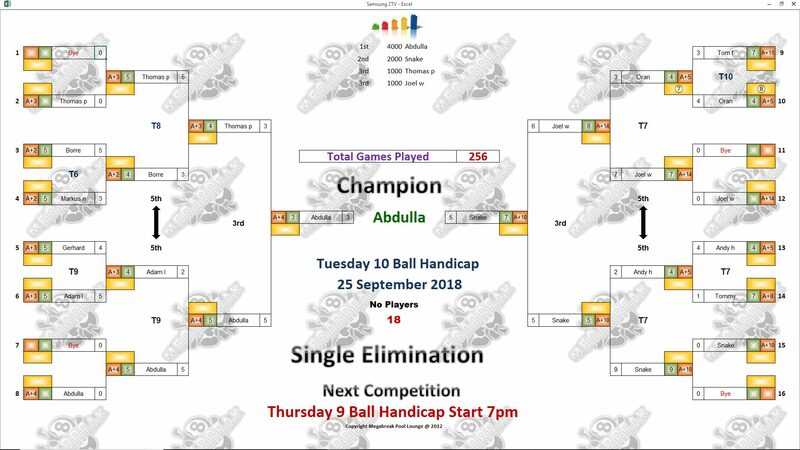 Abdulah Ahmad from Qatar continued his rich vein of form to win last night’s competition and become our 10 Ball Champion for this week. 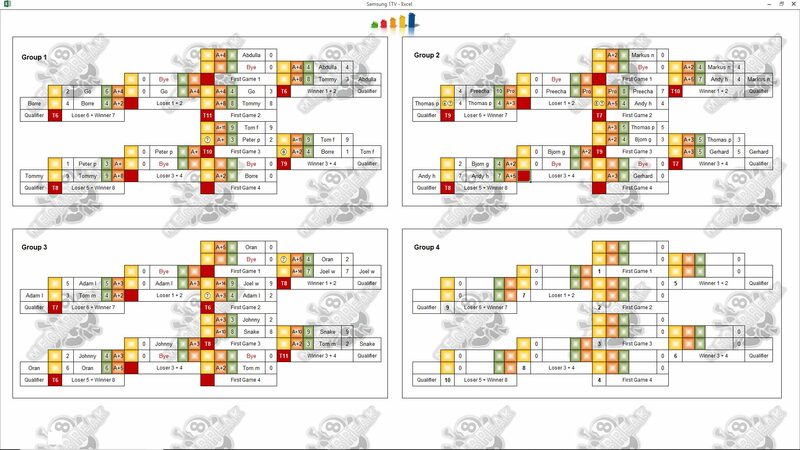 That makes it three consecutive finals now, and two successive victories following on from Sunday’s 9 Ball win. 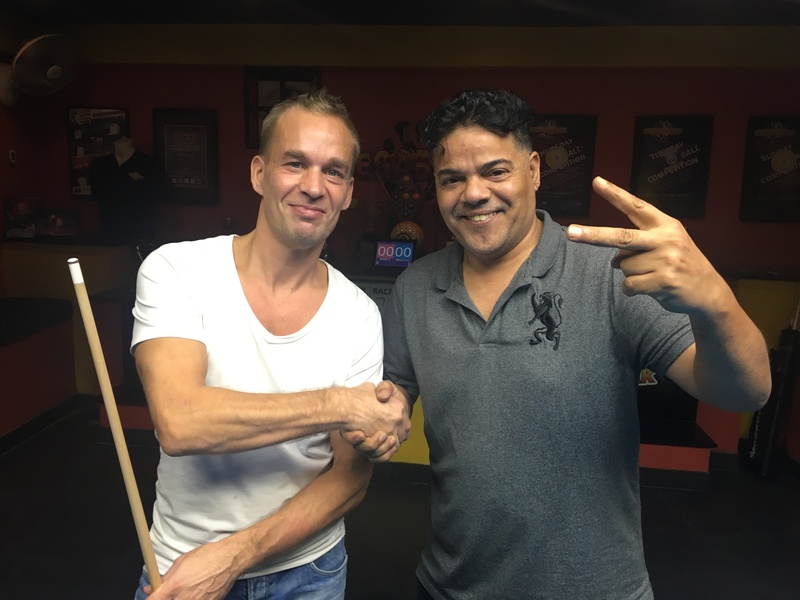 From a field of 18 players last night, he beat Finland’s Vesa “Snake” Kulmala in the final, 3-5 in racks (race 3-7) to pocket the 1st Prize of 4000 baht. He has now won 10 consecutive matches here since losing out in last Thursday’s final. 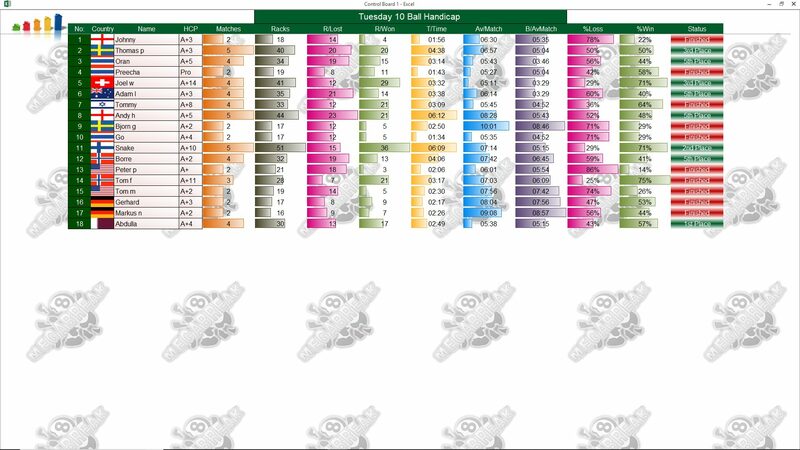 Can he make it three tournament wins on the trot this Thursday?! 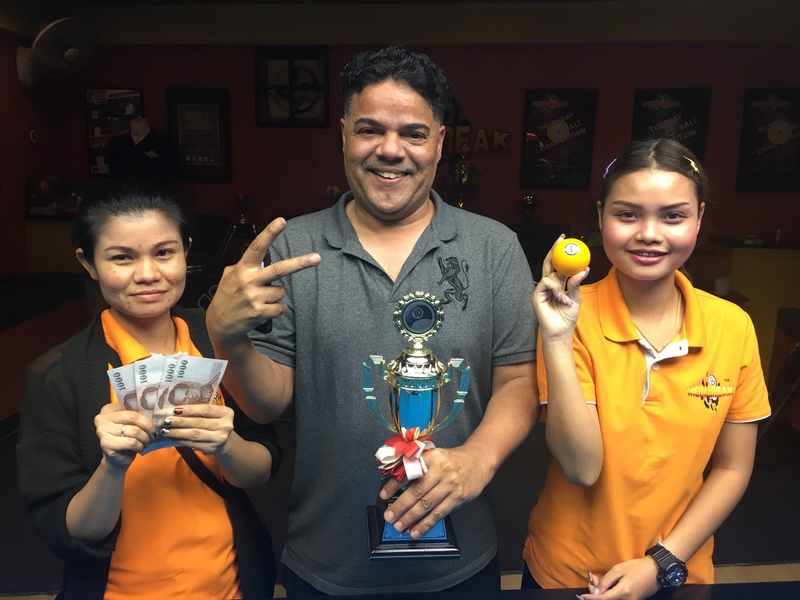 Snake played very well to reach the final before finding the handicap too much against Abdulah, and collected 2000 baht as Runner-Up. 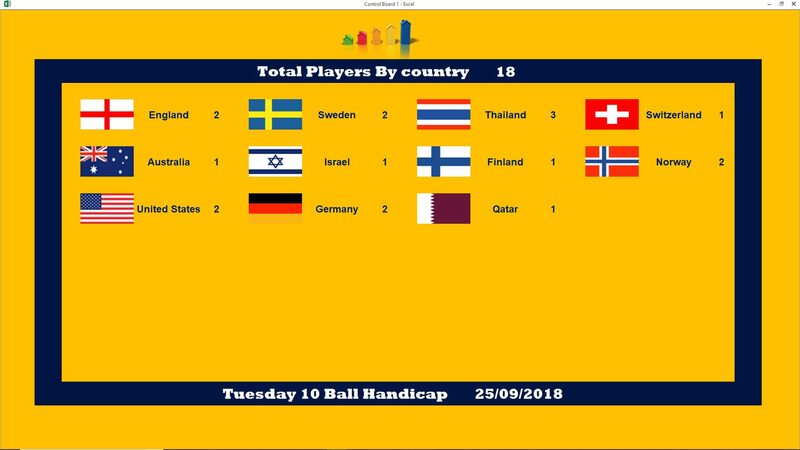 The other money winners on the night were Switzerland’s Joel Wenger, and Thomas Pettersson from Sweden, who each took home 1000 baht for reaching the semi-finals. 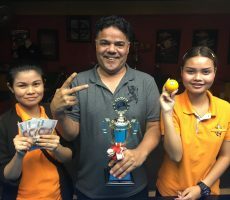 Champion : Abdulah (A+4) – 4000 baht. Runner-Up : Snake (A+10) – 2000 baht. 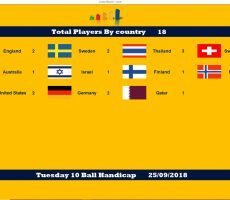 Semi-finals : Joel (A+14) and Thomas (A+3) – 1000 baht each. The Player Auction was won by our champion Abdulah again. 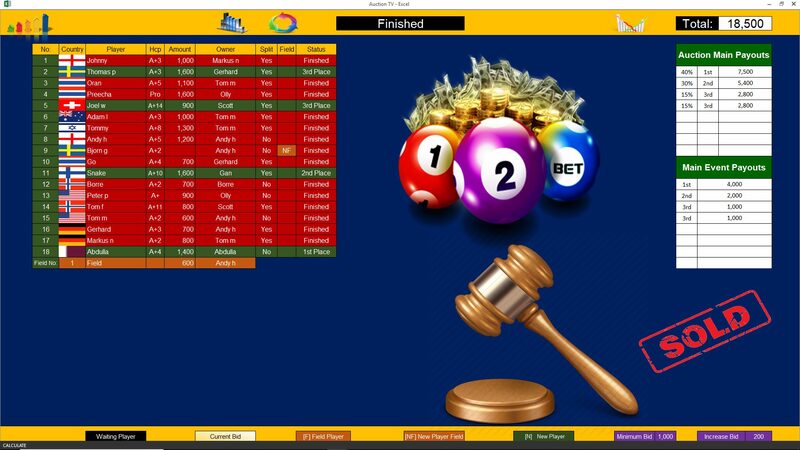 Out of a total pot of 18500 baht, he bought himself for 1400, and added an extra 7500 to his winnings on the night. 1st (40%) : Abdulah (Himself) – 7500 baht. 2nd (30%) : Gan (Snake) – 5400 baht. 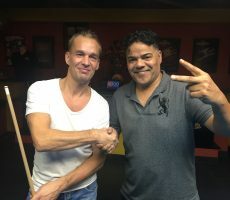 Equal 3rd (15%) : Me (Joel) and Gerhard (Thomas) – 2800 baht each.